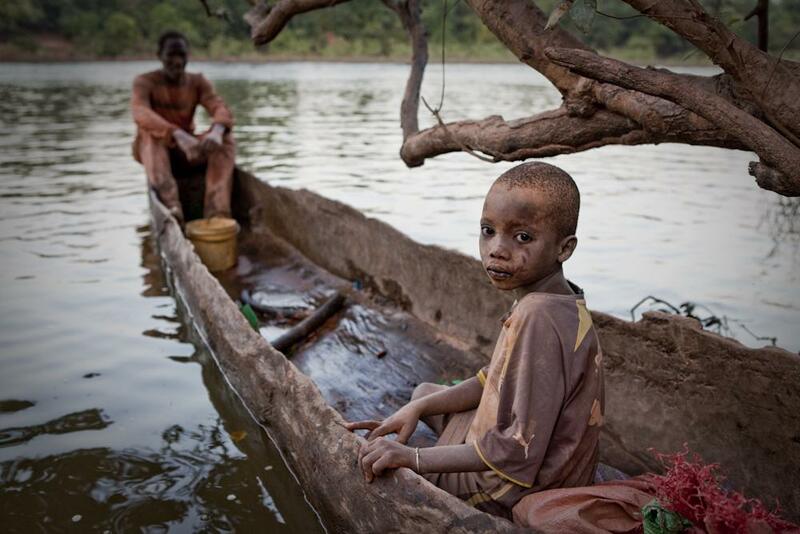 Jason Florio: “River Gambia Expedition” documents live in the river towns in the West African country (PHOTOS). Boys pose for a portrait on the banks of River Gambia in Senegal. They said they had painted their faces like skulls and their chests with soccer team numbers for their own amusement. The goal was to record life along the river before the dam—which has yet to be built—erases villages and displaces people who depend on the river for their livelihoods. Their team consisted of four people: Florio and Jones-Florio, who co-led and blogged about the trip; Ibu Jarju, translator; and Abdou Ndong, river guide and Florio’s oldest friend in the Gambia. 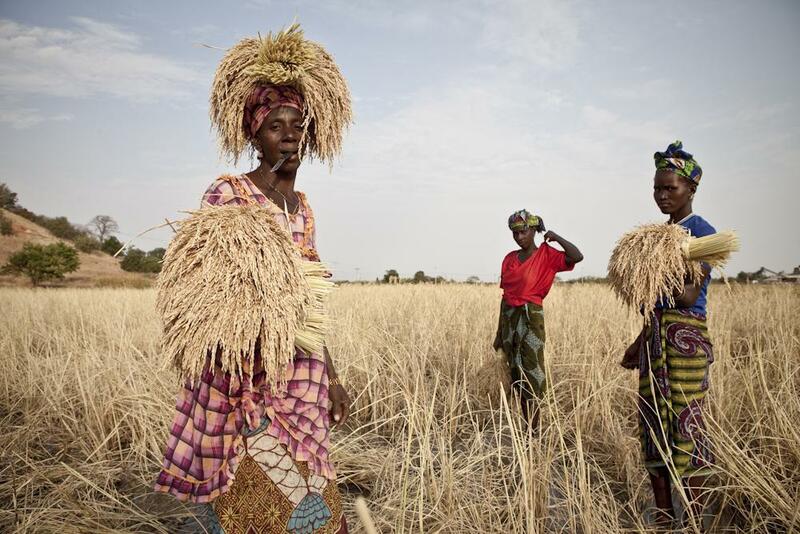 Hawa Jallow, a member of the Santa Yalla kaffo, a collective of women who work together to harvest rice near the River Gambia at Kaur. After cutting the rice, she holds her knife in her mouth and uses her head and hands to carry the rice to a collection point on the edge of the field. 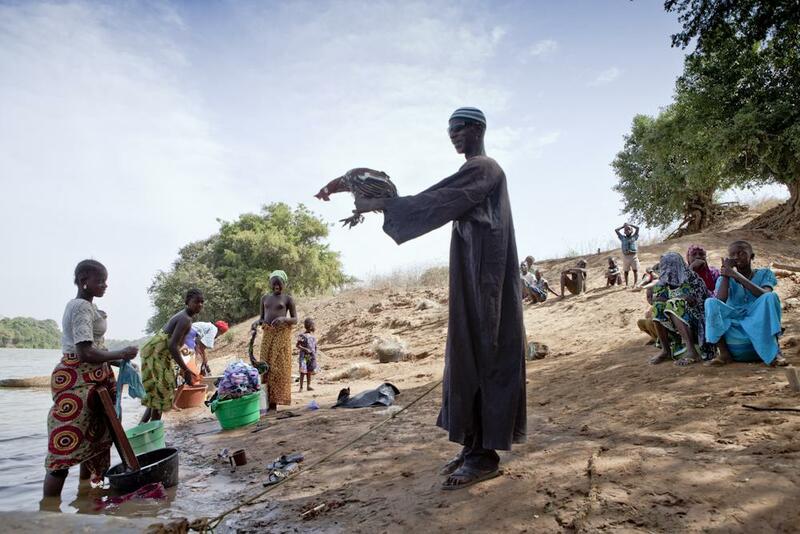 A Gambian man offers a chicken for sale to women washing and bathing on the edge of River Gambia at the village of Perais Tenda. The Florios had initially planned on spending three months on the river, but this plan immediately ran into a major problem when a container ship containing some gear essential to their journey never showed up. After five weeks of waiting, the Florios were forced to shorten the trip by a month and start the journey without their gear. 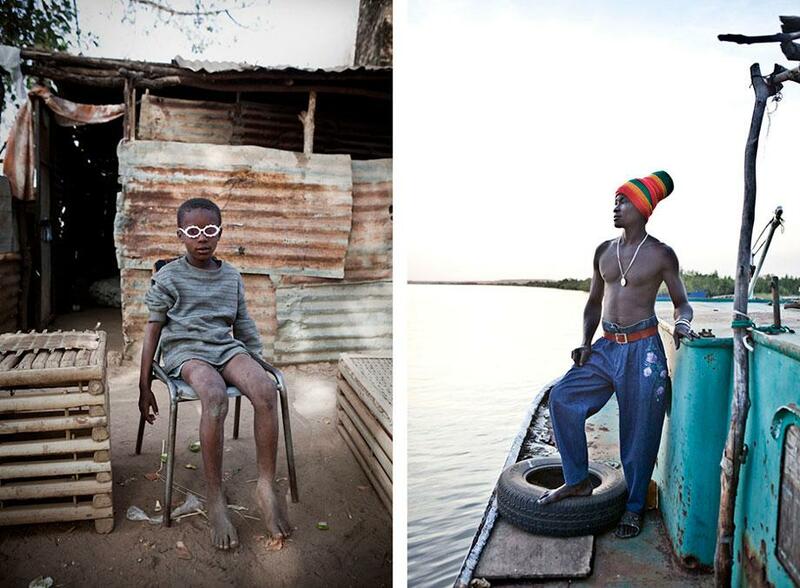 Left: A Gambian boy wears plastic glasses outside his mother’s cafe at the riverside town of George Town. Right: A Gambian sailor onboard his tugboat that pulls barges laden with peanuts to Banjul from upcountry farms. 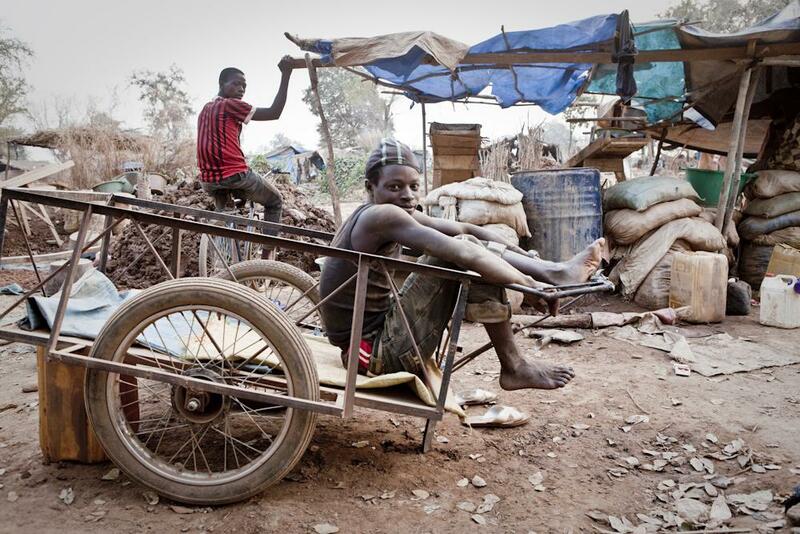 A gold miner relaxes after a shift at an artisanal mine in Senegal on the banks of the River Gambia. One month into their journey, Ndong, their main oarsman, threatened to leave the expedition on a particularly uncomfortable night when they “could only find a small rocky outcrop occupied by two hunters and a large dead patas monkey they had just killed for their Christmas dinner,” Florio said. The hunters left behind a pool of congealing monkey blood, and the crew had to set up their thin sleeping mats jammed between two rocks to avoid sliding into the river while sleeping. 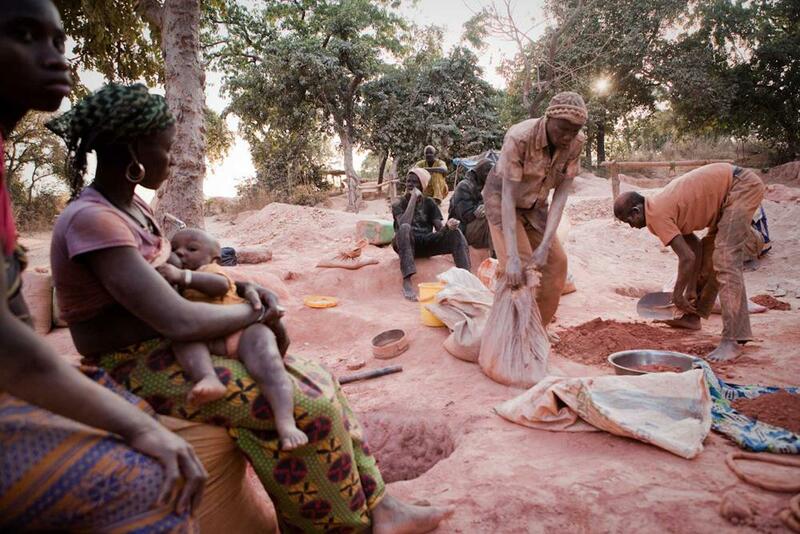 A female miner nurses her child while men divide up the gold-bearing sand at an unregulated mine in Senegal. 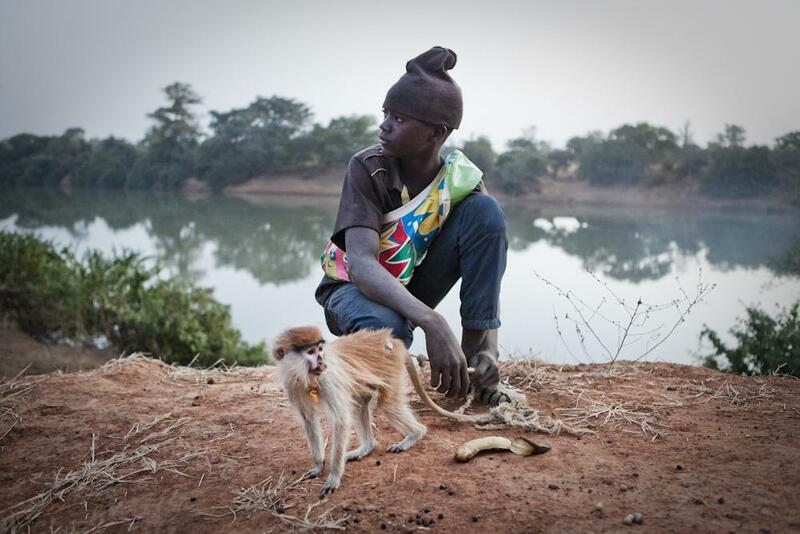 Musa Jallow with his pet patas monkey, which he rescued after hunters killed its mother. 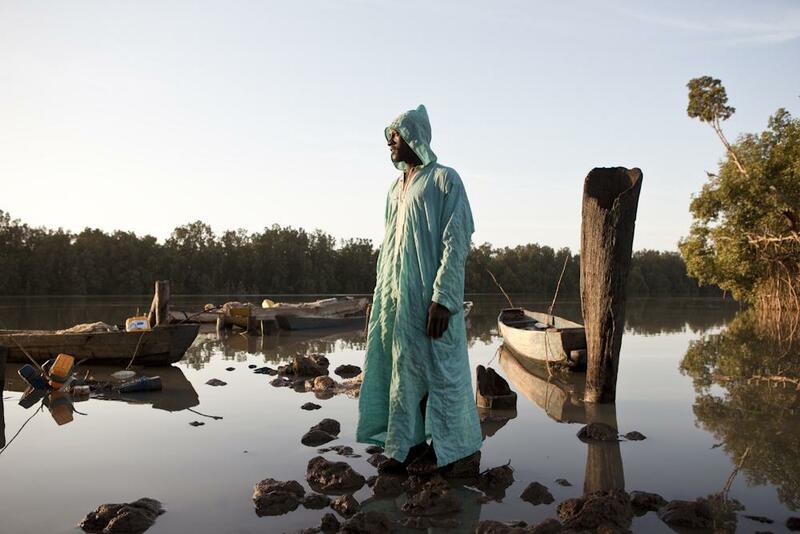 A Gambian fisherman at the village of Bambali.